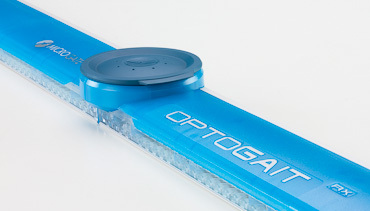 Optogait is an innovative system for movement analysis and functional assessment of patients with normal or pathological conditions. The system is equipped with optical sensors working at a frequency of 1000 Hz and having an accuracy of 1 cm, detecting the relevant space and time parameters for gait, running or other test types. The software platform allows easy storage of all tests carried out and the ability to recall them instantly if necessary. This allows the development of a customized patient recovery plan. It is also possible to compare very quickly and easily data of tests carried out at different times, in order to assess the validity and the efficiency of the methodology applied.